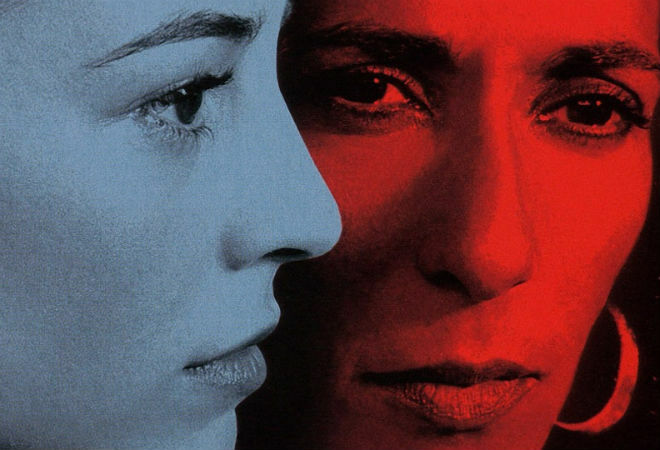 Spanish filmmaker Pedro Almodóvar’s masterpiece, about men trying to communicate with the literally comatose women they love. A real-life man of La Mancha, where he was born, Pedro Almodóvar can be called a quixotic filmmaker in both his intentions and processes, having schooled himself on the cinema of Buñuel, Hitchcock, George Cukor, and German renegade Rainer Werner Fassbinder, whose sensibility the Spanish filmmaker most shares albeit with an outrageous sense of humor thrown into the mix. Almodóvar makes movies that are a great mess, which is to say that sometimes they’re greater than they are messy (All About My Mother) and sometimes they’re messier than they are great (Women on the Verge of a Breakdown); for someone growing up gay in a country so Catholic where memories of Franco aren’t yet dim enough, the messier that art is, the truer. Almodóvar is always redeemed by a generosity of spirit—one is hard-pressed to remember a truly mean moment in any of his pictures—and Talk to Her, which is no mess and all great, is his masterpiece, about men trying to communicate with the literally comatose women they love. Here everything comes together with the sort of assurance that feels no compulsion to explain emotional unquantifiables, particularly in a story about the secrets we’re entitled to keep even from those we love, and the secrets that, kept with those we love, constitute a breach of faith. Talk to Her feels at once millennial and timeless in the way its various narratives loop their revelations möbius-like, and its own secret is that the heart won’t be denied in even the craziest of centuries. Next articleEssential T: Tacos al Pastor in L.A.